DESY, F. Lorenz & J. Stuhrmann/illustrato. The location of P01 in the Max-von-Laue Experimental hall is marked in orange. P01 is dedicated to Nuclear Resonant (NRS) and Inelastic X-ray scattering (IXS and RIXS) experiments at photon energies between 2.5 keV and 90 keV. The beamline offers high energy resolution monochromators in the range from 1 meV to about 1eV and high spatial resolution in the (sub-)micron regime. 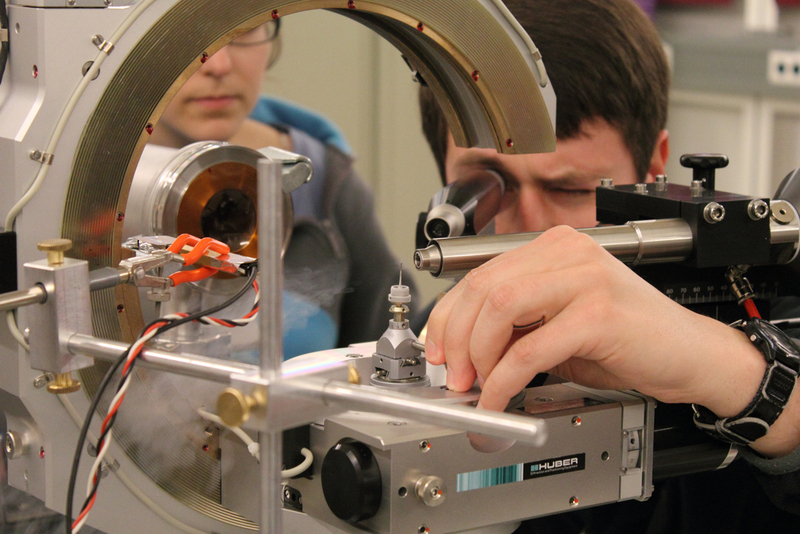 Beamtime applications for NRS are accepted since November 2011. NRS studies on 57Fe, 119Sn, 121Sb, 125Te and 193Ir are performed, other isotopes are also possible. Proposals for Inelastic X-ray Scattering (IXS) are accepted since June 2014. Contacting the beamline staff in case of uncertainties concerning the feasibility of the proposed experiments is highly recommended. 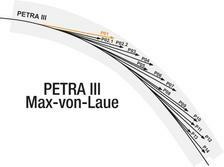 Since 2016, the Max-Planck-Gesellschaft (MPG) is shareholder of the P01 beamline for 40 % of the total beamtime. The MPG research is part of the IXS program and shared equally between two groups from the Max-Planck-Institut Dresden (Prof. Hao Tjeng) and the Max-Planck-Institut Stuttgart (Prof. Bernhard Keimer).